Men's Lacrosse Pockets, Stringing, Mesh, Traditional & Hybrids Stringing Lacrosse Pockets has been our main service for over ten years. A Custom Lacrosse Pocket can be a Mesh, Traditional, or Hybrid Pocket with any type or color of mesh, crosslace, sidewall, top string and shooting strings configuration. Stringing Lacrosse Pockets has been our main service for over ten years. 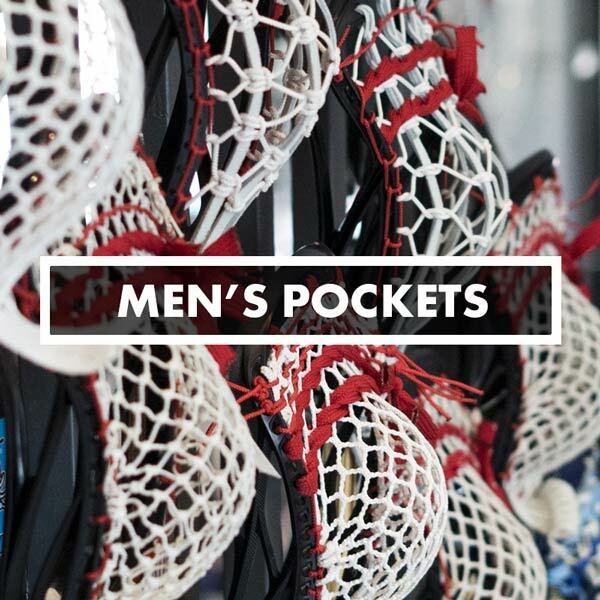 A Custom Lacrosse Pocket can be a Mesh, Traditional, or Hybrid Pocket with any type or color of mesh, crosslace, sidewall, top string and shooting strings configuration.